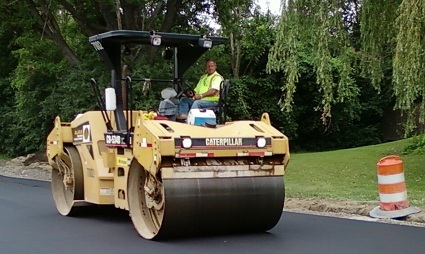 Construction began Monday, July 16 on the stretch of Civic Center Drive between Evergreen Road and Northwestern Highway in Southfield’s City Centre district. The project, led by the City of Southfield’s Engineering Division, includes the milling and asphalt resurfacing of Civic Center Drive, along with the installation of decorative concrete crosswalks and the upgrading or repair of pedestrian amenities along the corridor. During the first phase of the Civic Center Drive construction project (through August 8th), the center of the roadway will have one lane open in each direction as work takes place on the outer lanes. The construction will switch to the two center lanes from August 8 through 24, leaving the outer two lanes open in each direction. During the last week in August and first two weeks of September, alternating lanes will be open as the asphalt and crosswalk work takes place. Access to side streets and drives will be maintained throughout the construction. The City of Southfield Engineering Division anticipates having the Civic Center Drive project wrapped up in the fall, barring any weather delays or other unforeseen circumstances.